If you make minor changes (fix some bug or just change eyes color etc ..) you can not create your own nexus page and dump all my files on it. 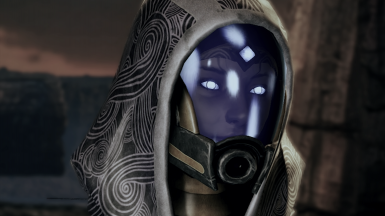 If want to mod and share your own modification of Tali Remastered, please contact me and I will add your mod in the downloadable section of this topic. Your name will be added in the credits on this page as contributor of Tali Remastered. If you make huge changes, for example you add 5 hours of new quests in ME3 or you build mass effect 4 alone in your room... of course, you should be able to upload your own mod with Tali Remastered included in... but please contact me before. 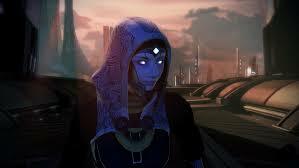 Tali : "If you like this free DLC, endorse me please ! :)"
- Sumirehaikuxna from DeviantArts (Tali full face mod's textures creator). - KKJiro, (Expanded Galaxy Mod's conceptor) for solving a bug, and his detailed support for cleaning some advanced settings on this DLC. 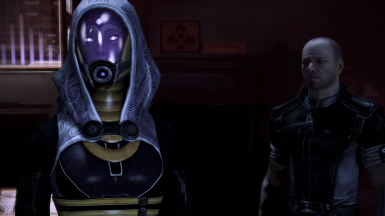 This DLC is a skin replacement for Tali Zorah, it also add a new photo corresponding to my model in Shepard's cabin and new icons in game menu. Please note that Tali Remastered does not provide new content such as quests or new dialogues. 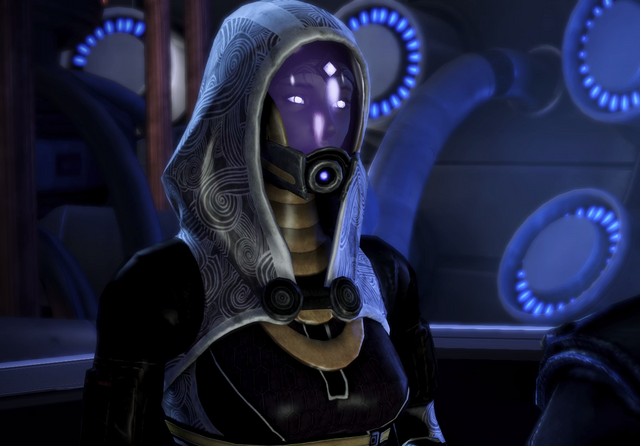 Info : If you want to initiate a romance with Tali in Mass Effect 3, you need to have a Mass effect 2 Savegame with which you already started a romance with her. 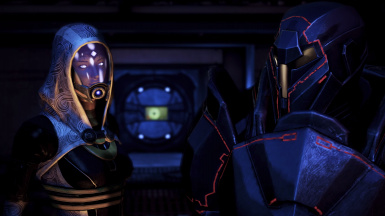 I advise to play ME2 before continuing the romance with Tali in ME3, however my save file has been added in the miscellaneous section, for those who have lost their ME2 files or really want to quickly have an active romance with Tali in ME3. First, If you don't already have it, you must install two DLL files to unlock DLC autorization. - Do not use Tali Remastered DLC with Tali Full face mod. 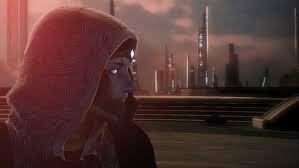 - For the moment, Tali Remastered is not compatible with Tali Romance Mod. It is possible that some dialogs corrected by AVPen are not supported by this DLC. 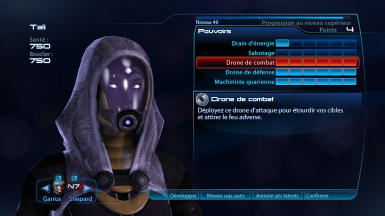 Before making my own DLC with Tali full face mod I did not use mods on Mass effect 3, if I had known AVpen before... I would have tried to work with him. If you use Tali Remastered V1.01-or-above (instead of V1.0) with Tali Romance Mod, you will probably lose the Tali Remastered's cabin picture. 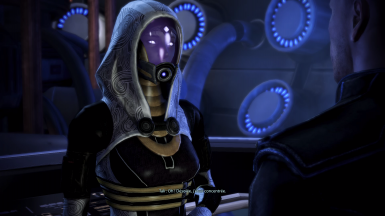 Other things, your game experience will not be perfectly consistent, because when Tali from TRM comes to see you in the cabin during the Romance sequence, the character will be different from Tali Remastered's skin. But the game will be playable without crash. The easiest way (but NOT compatible with EGM), is to install the "TaliMaster Original Mount Priority file (who was 5555)" after installing Tali Remastered DLC. You can find the original mount file in "the Miscellaneous files" section of downloadable content on this topic. - Tali Remastered V1.01(and above) is now compatible with EGM (Expanded Galaxy Mod), however, EGM changes the organization of shepard's cabin. So, if you use this mod, you'll need a small patch to apply the Tali Remastered's cabin picture. ﻿And install the "EGM Custom Extras Pack" to recover my picture. been changed to 4848 since V1.01. - Tali Remastered is compatible with MEHEM. 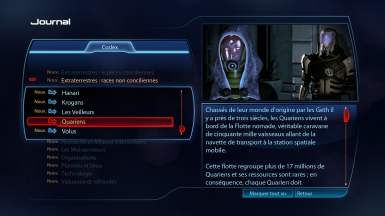 (The Mass Effect 3 Happy Ending Mod). 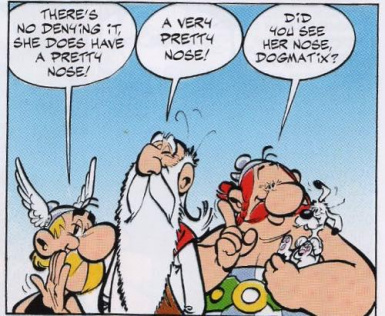 I think there is no reason to encounter any problems if you want to use it. 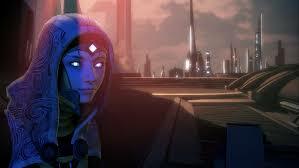 - Sometime, when you load a savegame during a mission (only in a mission) Tali's arms can be in a strange position at the end of the first loading, so if this happen, just move your character, Tali Zorah will follow you and every arm's bones will immediately return at there right place. 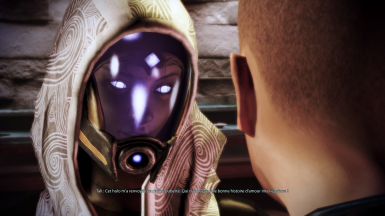 Tali's face encounters some animation problems for a few seconds. 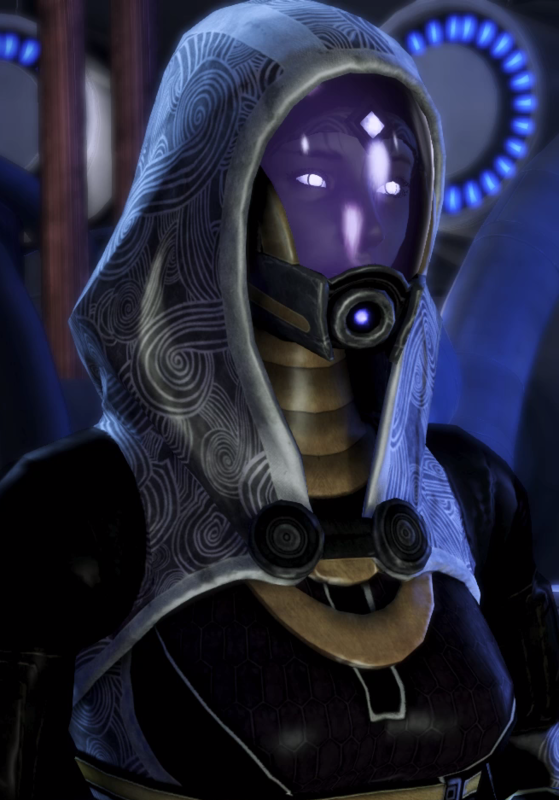 In the "I love you" sequence on Rannoch, bones that control the mouth are not animated in game, so Tali's lips do not move. - [31/08/2018 SOLVED on V1.01] In the citadel DLC : During the party, if you move too far from Tali in the apartment, you will notice the face behind the mask will be replaced by a coarser LOD mesh, the problem disappears when you approach her. Everything is totally free and for our own personal, non-commercial use. I will highly appreciate your done. Getorex helped me a lot by giving me access to his data, this allowed me to quickly understand how to work effectively on Tali Remastered. Without his work on Tali Full Face mod, I would have never tried to build Tali Remastered. - Inside the mask, all parts are completely rebuilt, and UVmaps are updated. 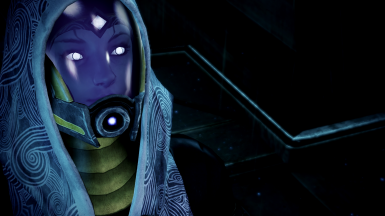 - A diadem was modeled because I think Quarians would not let their hair wandering under their masks. - Tali's eyelashes have been modeled in 3D to counter problem with Aplha transparency layer. - Tali's chest has been slightly increased (as in the Tali full face mod, because I agree with Getorex change) but the shape of the hip has not been modified. 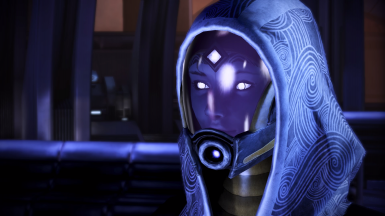 - A new picture of Tali, that matches with the face of my character is provided by this mod for Shepard's cabin. - All icons in the game corresponding to Tali are modified by my Tali Remastered's icons. By the way do not confuse the result of my fan videos on youtube with this mod. My fan videos are machinim'as works, as such, I used all the drifts of the game and editing movies options to build and clean my fan vids. If you have already watched my videos, you will notice that you will not find Tali with her mask broken in this mod because it would generate conflicts with other sequences of the game.